Carlos Ghosn’s arrest on Nov. 19 in Tokyo and his fall from the apex of the automotive world was stunning and sudden. Following 108 days behind bars on allegations of financial impropriety, the deposed executive left jail March 6 after posting bail of 1 billion yen ($9 million) and pledging to adhere to strict restrictions on his movements. Yet after barely a month of freedom, the former chairman of Nissan Motor Co. and Renault SA was rearrested in the early hours on April 4 on fresh allegations that he used the Japanese carmaker’s funds for his own purposes. Another lengthy stay in prison, with limited access to his lawyers, could make it harder for him to prepare for a trial that may start later this year. Prosecutors rearrest Ghosn at his Tokyo apartment before 6 a.m., saying he sent Nissan’s money to accounts he controlled and that he took a combined $15 million in three instances beginning in 2015. Ghosn tweets that he plans to hold a press conference on April 11 to “tell the truth” about accusations against him. Soon after the tweet, the Sankei newspaper says prosecutors in Tokyo plan to rearrest Ghosn on a new charge of breach of trust. Renault says certain expenses that Ghosn incurred are a “source of concern, as they involve questionable and concealed practices and violations of the group’s ethical principles.” The automaker also raises potential issues concerning payments to one of its distributors in the Middle East. Ghosn’s lawyer, Junichiro Hironaka, says he should be tried separately from the automaker and accused accomplice Greg Kelly. Hironaka says facing a trial with co-defendants, especially a former employer that’s making accusations against him, would put Ghosn at a disadvantage when presenting evidence and calling witnesses. Hironaka says Ghosn will assert his innocence when he speaks at a news conference to be held when his health improves. 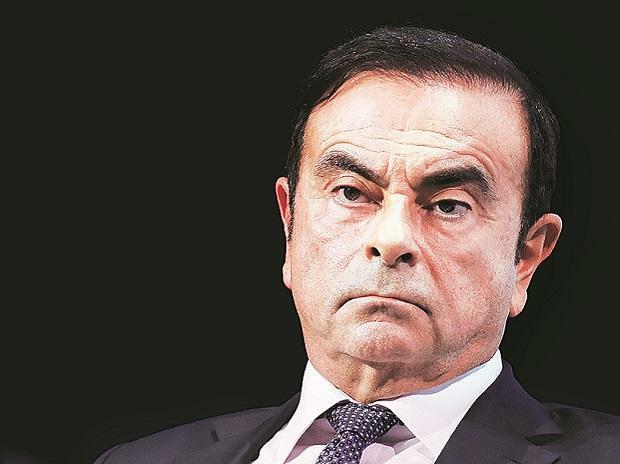 A Tokyo court rejects Ghosn’s request to attend a Nissan board meeting on March 12 to discuss its three-way alliance with Renault and Mitsubishi Motors, saying his attendance would violate terms of his bail forbidding him from contacting people involved in the case against him. Ghosn leaves the Tokyo detention center after posting one of the highest bails in Japan’s legal history. Conditions include an agreement to remain in Japan, having cameras installed at the entrance and exit of his home, restrictions to using his mobile phone, and having no access to the internet. A Tokyo court grants bail at 1 billion yen to Ghosn on his third application and rejects prosecutors’ appeal against it. Hironaka calls Ghosn’s long detention “extremely unfair” and says his legal team is bringing in new ideas and strategies. Hironaka hinted at the involvement of a “higher power” and “politics and economy” related to this case, in addition to saying it “wouldn’t be strange” if he secured a not-guilty verdict. Lawyers representing Ghosn’s wife, Carole, and four children say the family is appealing to the UN Working Group on Arbitrary Detention for help in securing his release. Ghosn applies for bail again after 100 days in prison. It’s the first attempt under his new legal crew. Hironaka holds his first press conference as Ghosn’s lawyer, in which he calls the case “bizarre” and alluded to it being a result of a conspiracy inside the automaker. Ghosn replaces his legal team with one led by Hironaka, famous for his representation in prominent cases including the successful defense of a former senior bureaucrat against corruption charges. The International Federation for Human Rights says the denial of Ghosn’s access to a lawyer during interrogation and his prolonged detention reflect some “serious failings” in Japan’s criminal-justice system. Ghosn may have made improper use of a Renault sponsorship deal to pay for his wedding party at the Chateau de Versailles, and received a “personal benefit” worth 50,000 euros ($56,000), the French carmaker said. This marks the first time Renault has disclosed possible improprieties by its jailed former chief. Ghosn resigns as chairman and chief executive officer of Renault. Ghosn is denied bail despite offering to wear an electronic tracker and be monitored by guards. Ghosn makes another application for bail, the second since he was indicted over aggravated breach of trust. Ghosn’s lawyer Motonari Otsuru reapplies for bail to the Tokyo District Court. Nissan says Ghosn improperly received 7.8 million euros from a joint venture with Mitsubishi Motors Corp.
Ghosn’s lawyers file appeal to the court’s decision to reject bail. The appeal is also turned down. The Tokyo District Court turns down Ghosn’s bail application. The rejection means he will have to stay in jail for at least another two months. Prosecutors indict Ghosn again, this time for aggravated breach of trust. Ghosn’s lawyer Otsuru says he will apply for bail. Ghosn comes down with a fever in jail, prompting authorities to halt his interrogation. He loses an appeal against his detention. Ghosn’s detention is extended for 10 more days, until Jan. 11. Ghosn’s aide Kelly is released from jail. Prosecutors appeal a Tokyo District Court decision to grant Kelly bail, set at 70 million yen, which he posted in cash. Japanese prosecutors re-arrest Ghosn on more serious allegations of financial misconduct, saying he is suspected of inflicting financial damage to Nissan from his own unprofitable investments. The re-arrest allows them to keep Ghosn in jail for at least a further 10 days. Kelly’s lawyer applies for bail for him. A Tokyo court refused prosecutors’ request to further extend the detentions of Ghosn and Kelly by 10 days. The prosecutors’ appeal against this was also rejected, bolstering his odds for bail. Ghosn’s lawyers said earlier they would apply for bail. Ghosn and Nissan are both indicted for understating his income by about $43 million. Kelly is also indicted for aiding Ghosn in underreporting the income. Ghosn, through his lawyer Otsuru, denies media reports that he passed on personal trading losses to Nissan. Mitsubishi Motors ousts Ghosn as chairman. Nissan dismisses Ghosn as chairman and strips Kelly of his representative-director role. A Nissan official says the automaker provided Ghosn with six houses including in Tokyo and New York. Renault names Thierry Bollore interim deputy CEO with the same powers as Ghosn, while stopping short of dismissing the arrested executive from the French carmaker. Ghosn is arrested in Tokyo for alleged financial crimes along with Nissan representative director Kelly. At a late-night press conference, Nissan CEO Saikawa expressed disappointment and indignation at Ghosn’s alleged misconduct, including using company funds for personal investments and misusing corporate assets.